Poodle breeds have their own woes when it comes to their health. They are at risk for several diseases within their breed. 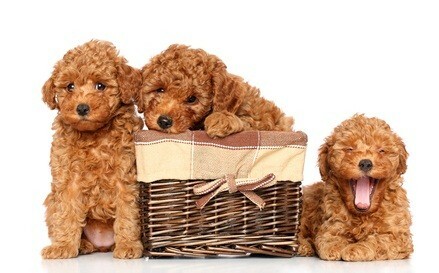 Ask your breeder the health background of your poodle's parents and to look at the parents' poodle health registry. Ask if her parents have been tested for dog cataracts and dog glaucoma, if they have any joint problems, any arthritis or epilepsy problems. Ask what is being done to treat those in her parents. Standard poodles, being bigger dogs, may incur hip dysplasia. Throughout his life, his hip changes and can become malformed which can lead to problems walking. It can start out with arthritic like symptoms of stiffness and limping, then progress to extreme difficulty in walking. Step climbing may become impossible as the hip joint is unstable. Ask the breeder if your pup has been screened for dysplasia. You can also ask your vet to take an Xray of your standard to see if there are any problems. It can be corrected when it's caught early. Poodle breeds are also susceptible to progressive retinal atrophy. It causes retinal degeneration which may lead to blindness. It starts towards midlife around age 6 or 7. Again, ask the breeder if your puppy was screened for PRA. 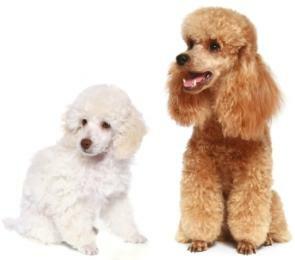 Miniature poodles can inherit optic nerve hypolasia. The optic nerve is not properly formed and causes blindness. Cataracts are hereditary and glaucoma can be, too. Cataracts in dogs usually occur in older pets and can be treated the same way as human cataracts are. Miniatures are susceptible to narrow angle glaucoma. Other eye diseases poodles are prone to are corneal dystrophy, congenital night blindness and entropion. Epilepsy is another genetic disease your dog may be predispositioned to. This causes seizures and convulsions that results in uncontrollable jerking movements and twisting with possible loss of consciousness. There are medications that may help to control the seizures. Addison's Disease causes diarrhea, vomiting and weakness. Hypothyroidism is a lack of thyroid hormone in his body. Weight gain, listlessness, irregular heartbeat and dry skin and coat are some of the symptoms. Legg-Calve-Perthes disease strikes the toy poodle where femur deterioration results in pain, difficulty walking and can lead to lameness. Patellar luxation also strikes toy and miniatures and causes the kneecap to weaken and slip out of place. Sebaceous adenitis damages hair follicles and sebaceous glands and causes hair loss, flaky skin and skin infections in standards. Cushing's syndrome makes your pet's body produce too much cortisone. It's thought to be caused by your dog drinking very chlorinated water. A water filter on your sink can lessen the amount of chlorine he (and your family) drinks. Another one of the poodle breeds genetic predispositions is Von Willebrand's disease, a blood disorder which causes your poodle to bleed freely. 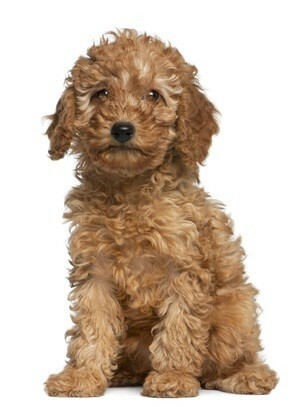 Not all poodles will inherit genetic diseases. But it's best to know your pet's parents' health history so you'll be able to spot any inherited illnesses in the beginning, and get your dog treated.